INVITATION - free type event! Typebox is very happy to invite you to a new book release event: an evening of 5 (five!) independent foundries from the Bay Area and beyond. 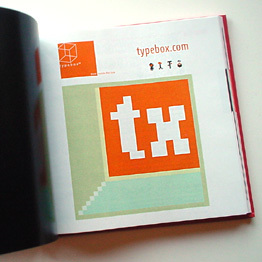 and there will be a raffle of precious type goods. P22, flying in from Buffalo! 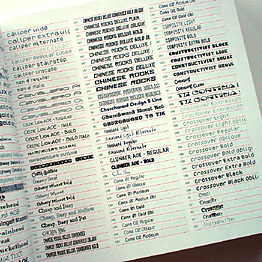 "A compendium of digital type from independent foundries" is our new book uniting 18 not-so-typical type shops from the US and Europe. 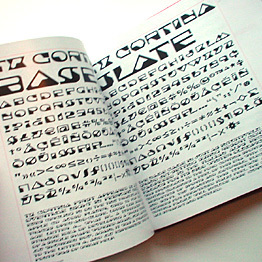 An easy-to-use reference, this book features many hard-to-find fonts, as well as fresh type designs that haven't been over-exposed to the public. 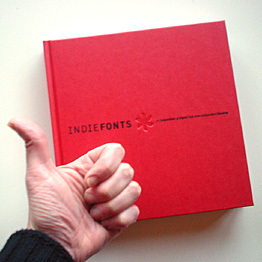 a free CD with 33 fonts licensed to the owner of the book, a glossary of type terms, handy indexes and reference lists.